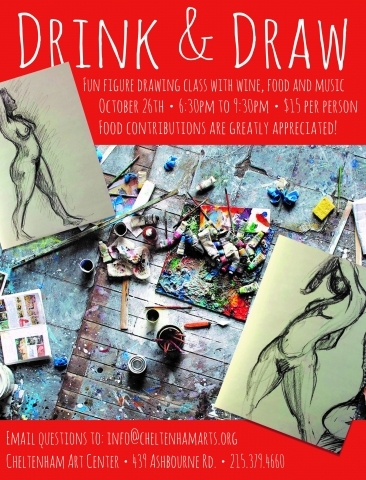 Join us on Friday, October 26th from 6:30-9:30pm at the Cheltenham Center for the Arts for Drink & Draw! Please join us for a fun evening of life drawing with music, snacks and beverages. Bring yourself, your sketchbook, drawing pencils and your $15 drop-in fee. All are welcome!